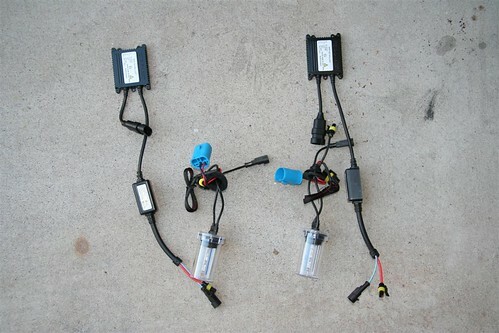 This is a write up for the install of an hid kit on a 99-04 mustang. 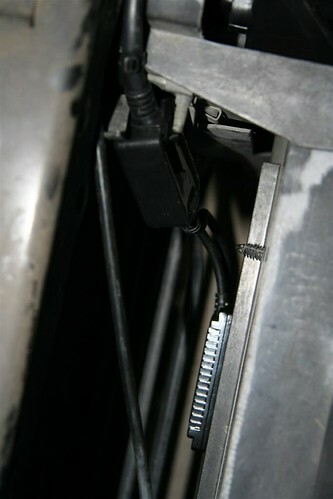 The car used for this write up is a 2004 GT, but the info will work for all mustang models (99-04 for wire routing). 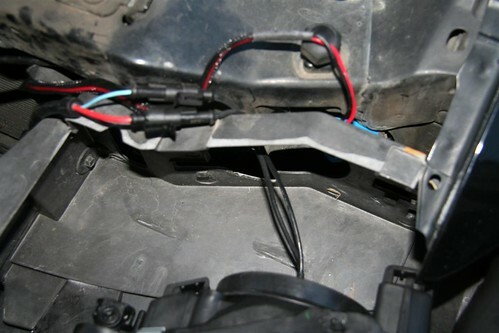 Step 1: Remove the headlight housings by pulling up the two clips the hold the headlight to the header panel. 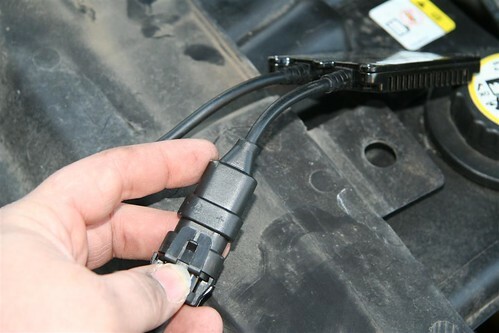 (Pic A) Unplug the headlight and the turnsignal bulb to completely remove the housing from the car. 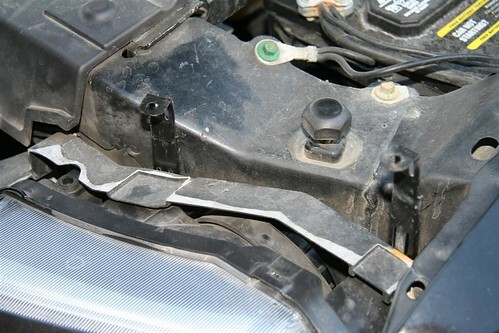 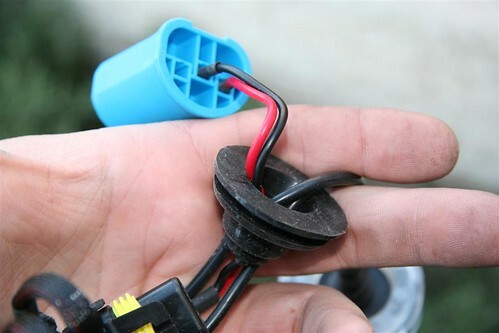 (Pic B & C) You may need a flatblade screw driver to remove the headlight plug due to the size of the clips. 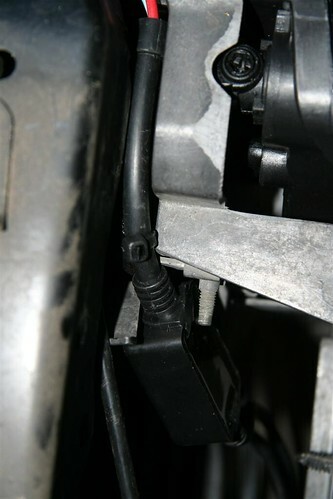 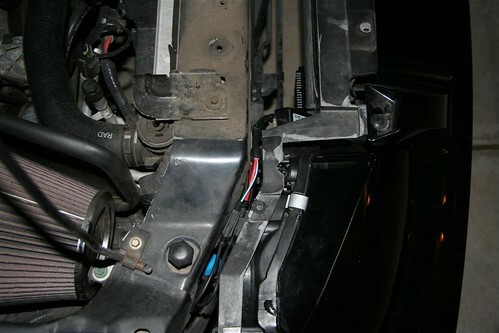 Its also rather likely that you will break atleast one of the clips retaining the parking light socket. 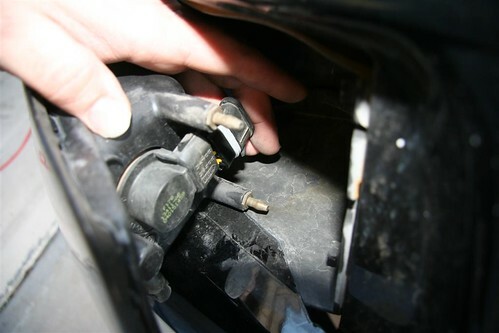 My car is missing both, but the socket stays perfectly attached once the headlight is back on the car. 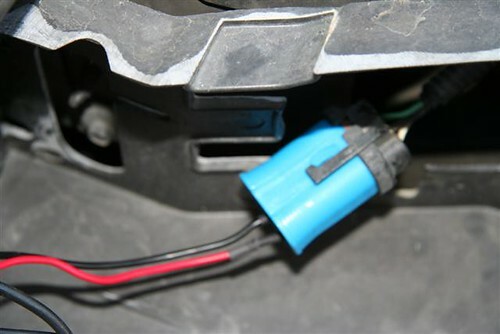 Step 2: Plug the power adapter into the bulb connecter, and connect it to the hid ballast, and connect the ballast to the hid bulb that is still in its protective plastic case. 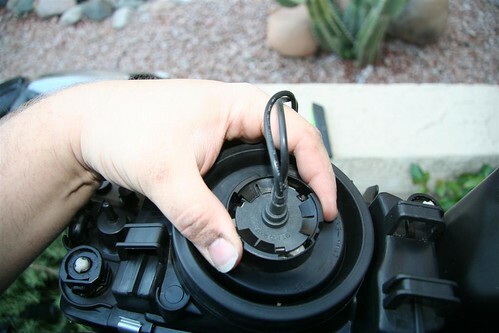 Turn on the lights to verifiy the bulbs proper operation. 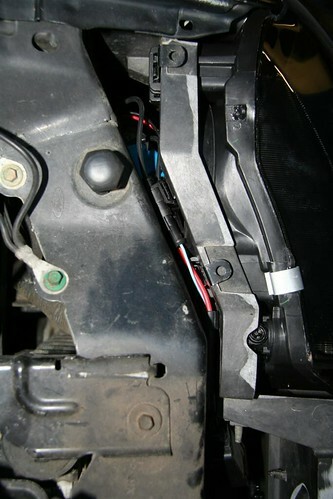 (Pic D) This is done to make sure all the parts are in working order before going through the hassle of mounting the bulb in the housing, or the ballst to the vehicle. 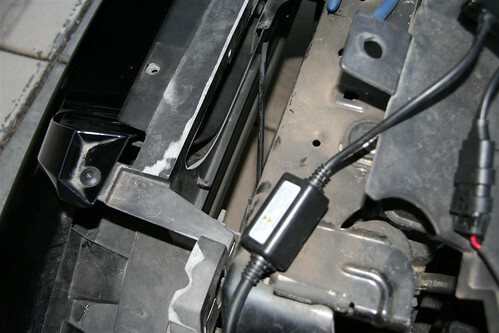 Sometimes the power wires have to be swapped where they go into the ballast. 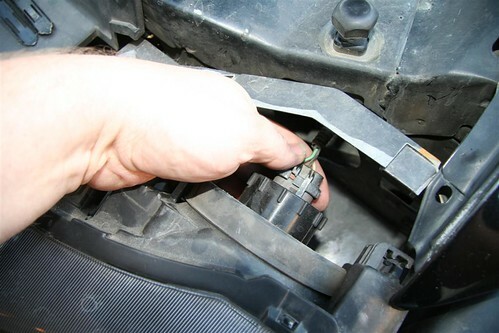 (Pic E) This step will verify if you need to do this. 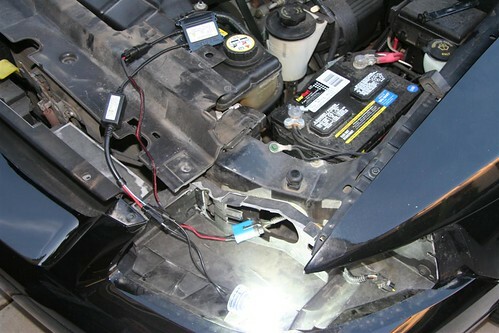 Step 9: Slide the headlight retainer clips back in, and turn on the headlights to verify proper operation. 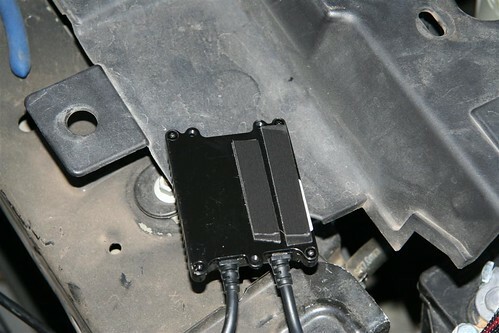 Step 11: Complete steps 1-10 on the other side of the car. 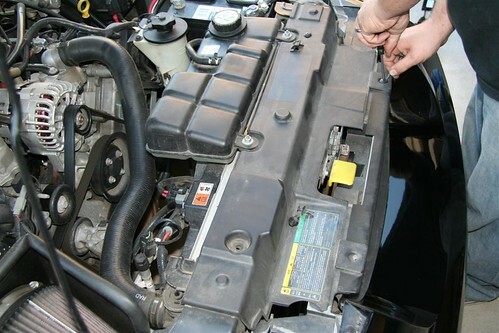 Step 12: Replace Radiator cover removed in Step 4. 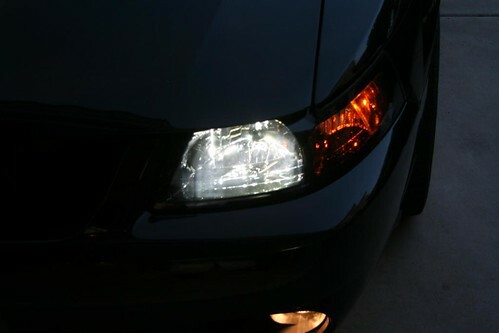 Step 13: Adjust headlights if necessary.